1. Me + Go Mighty = 1000 POLAROIDS. I don't think I've ever had 1000 of anything, unless you include Polly Pocket all over my house. I am still finding pieces 10 years later. Shut up, Polly Pocket. 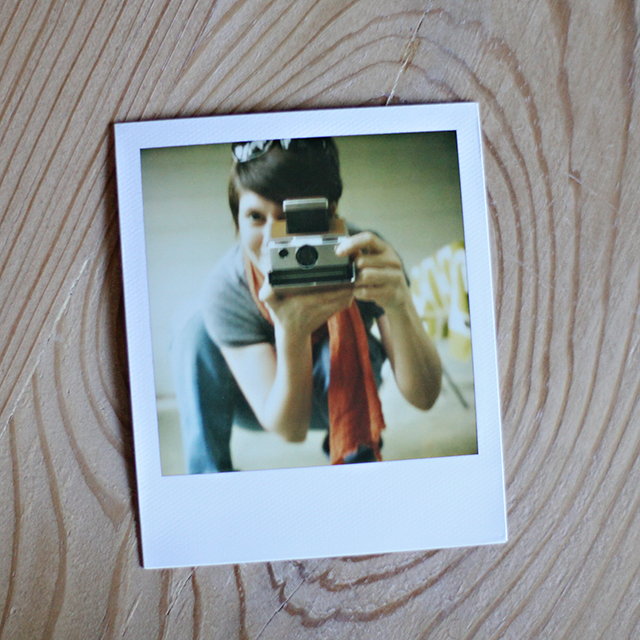 Hooray, Polaroids! 2. I am loving the Hathaway so far, but I have GOT to get some products to make that piecey thing happen. What are y'all's favorite ones, pixied girls? 3. Does anyone know of a yellow paint color that is, like, nearly fluorescent? What about pink? I need to know, and I need to know bad. 4. Would you like to be my intern in Chicago for the Dec. 8 mini-camp? This job entails helping me set up and picking up drinks, food, coffee, etc. Also, bringing me all of your winter coats so I won't be cold. Owning a car is a bonus, as is being good at making things look pretty. Interested? Let me know! 5. One (1) spot left for Chicago mini-camp. How 'bout it? 6. 2013 camp locations -- and tentative dates -- will be announced next week. WHO IS EXCITED? IS IT AB CHAO? Yes. Yes, it is. 7. Have a wonderful week and Thanksgiving holiday. And if you see a fried turkey, it's mine.